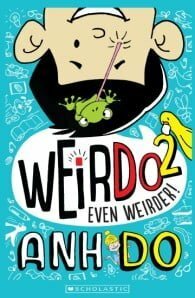 It’s not just me who’s WEIRD, it’s my whole family! Not even our pet bird is normal! Weir’s back and even weirder! But it’s not just Weir who’s weird, it’s his whole family. Not even their pet bird is normal! How will he keep cool with a school trip to the zoo coming up AND Bella’s birthday party?! It won’t be easy … but it will be funny! Anh’s best-selling memoir The Happiest Refugee has won numerous awards, including Indie Book of the Year and the ABIA Book of the Year, 2011. Anh’s picture book The Little Refugee, illustrated by Bruce Whatley, was named an Honour Book by the CBCA in 2012. Anh’s hugely popular TV show ANH DOES VIETNAM was the highest rated show when it screened last year, and the recent follow-up ANH DOES BRITAIN screened in July, again to huge ratings. 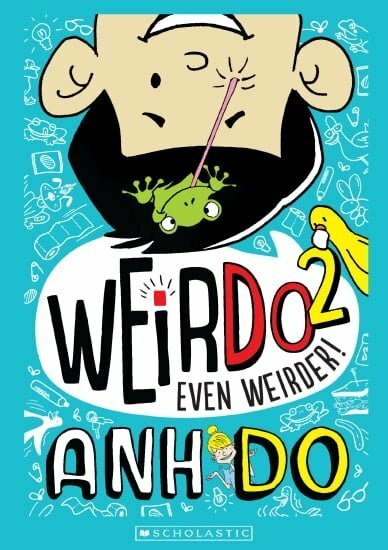 Anh has also written two books for younger readers, Weirdo and Weirdo 2: Even Weirder.